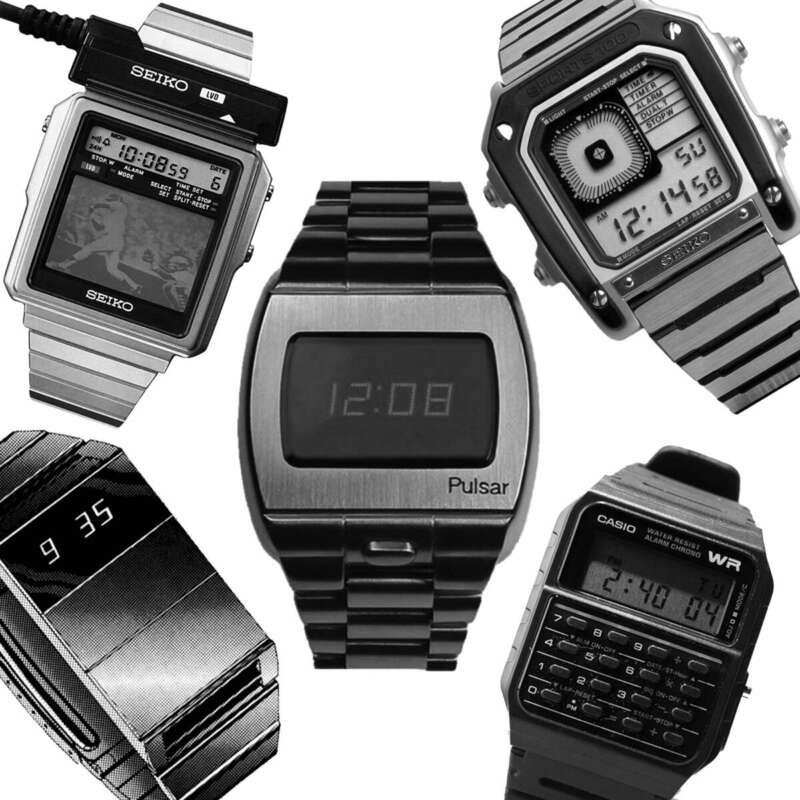 Digital Dust: What happened to the digital watch? I have to confess. I'm not really a watch guy. It's not that I don't appreciate their aesthetic qualities or see their importance in the history of men's clothing. 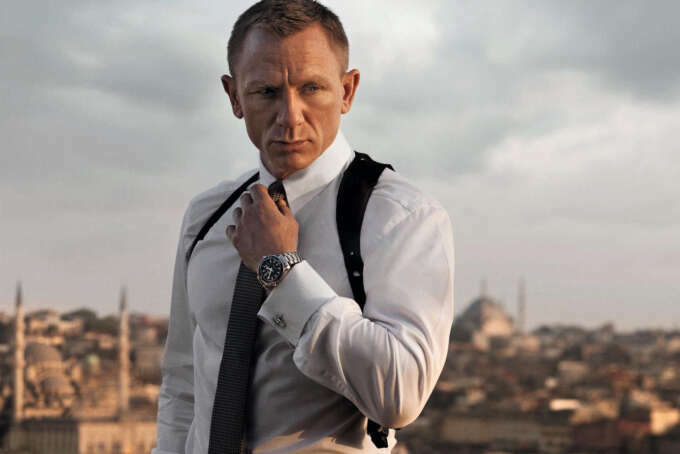 In fact, as a Bond fanatic in my teen years I should be the ideal candidate for watch obsession. I even feel like an outfit isn't quite complete until I have one on. Despite this, I find them hard to love. James Bond fandom is the gateway drug for many horophiles. My distaste for watch culture as it stands comes down to their status in the 21st century as the ultimate Veblen good—an object of conspicuous consumption with value greatly inflated beyond its practical application. Add to that their greatly increased size and complexity—the largest of which tend to resemble some kind of hideous valve or gasket—in comparison to the elegant designs of the mid-century. There isn't a lot to interest me in the current watch conversation. Long time readers might have noticed when we do recommend watches they tend to be reasonably priced reissues or paired-back unbranded models. The excitement around physical movements seems more akin to interest in car engines or computer specifications than fashion or aesthetics. 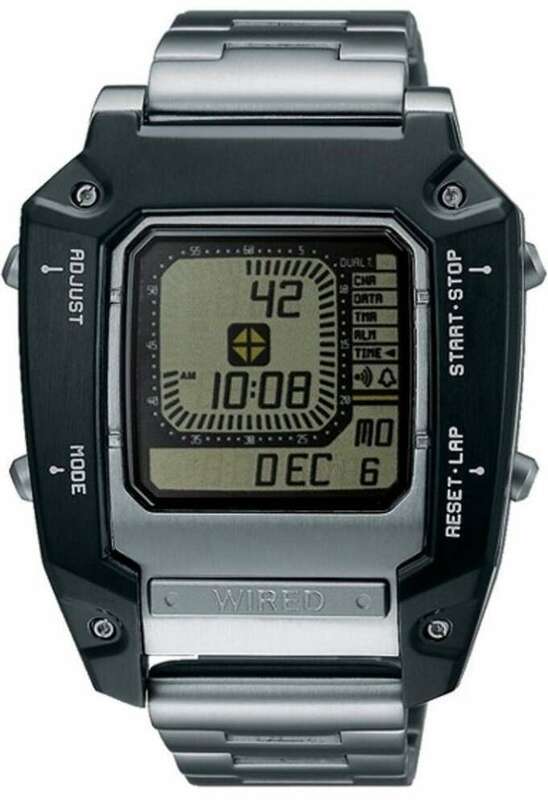 Recently—under the influence of Stranger Things—I've been on the hunt for a nice, classic digital watch. 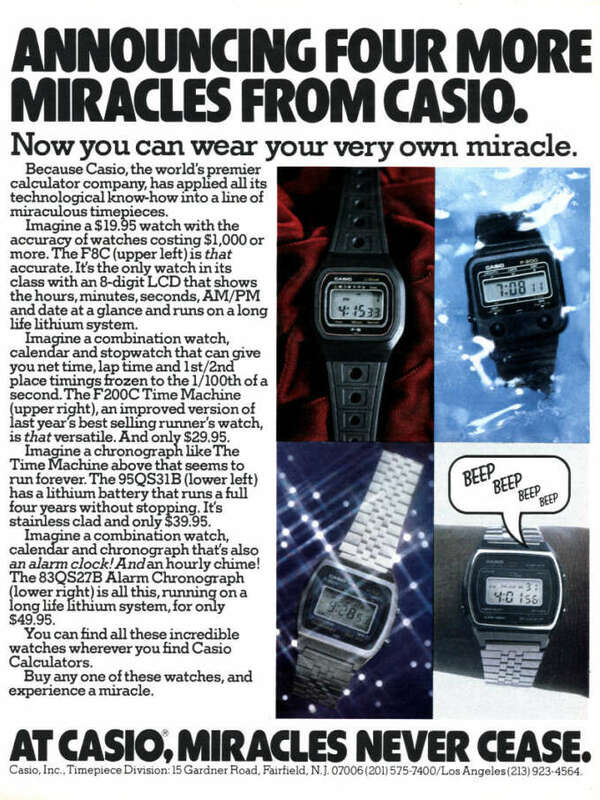 The Casio models are reasonably priced and smart looking but as I did my research I came to realise that beyond the quaint early digital aesthetic was the fascinating story of why the watch industry became what it is today. While the Swiss watch industry experimented with quartz, they feared its threat to their traditional advantages. This prototype was created in 1967. 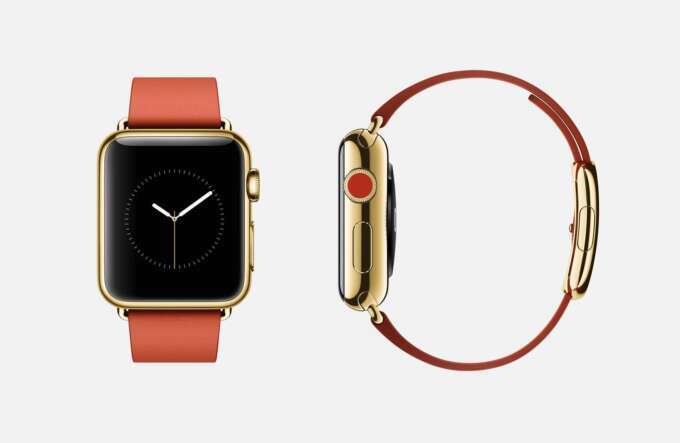 To understand the origins of the digital wristwatch you have to go back to the '60s. All watches were mechanical and no country was producing the precise movements required for top quality timekeeping better than Switzerland. The Swiss had gained a huge advantage over their competitors during the first and second world wars. While their peers were producing bomb timers the Swiss worked tirelessly on consumer wristwatches. 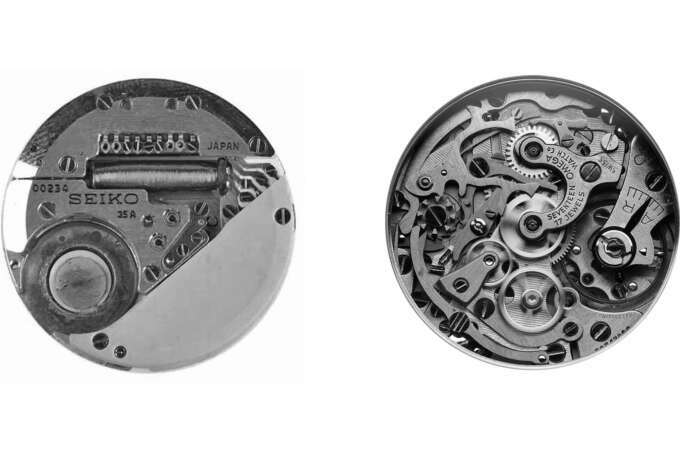 A simple seiko quartz movement next to the complex mechanical movements they replaced. Post-war Switzerland were the undisputed heavyweights of the industry. In the '60s they faced a growing threat from the newly resurgent Japan whose watches were of increasing quality and sophistication with vast technological investment. As early as 1959 the Japanese watchmakers led by SEIKO were investing in quartz technology. Quartz allowed producers to create watches of startling accuracy with very little cost as the mechanism itself was rather straightforward. This was an existential threat to the sophisticated craftsmen of Switzerland's watch industry. Why spend all of this time, effort and skill to build a watch less accurate than a far cheaper one? 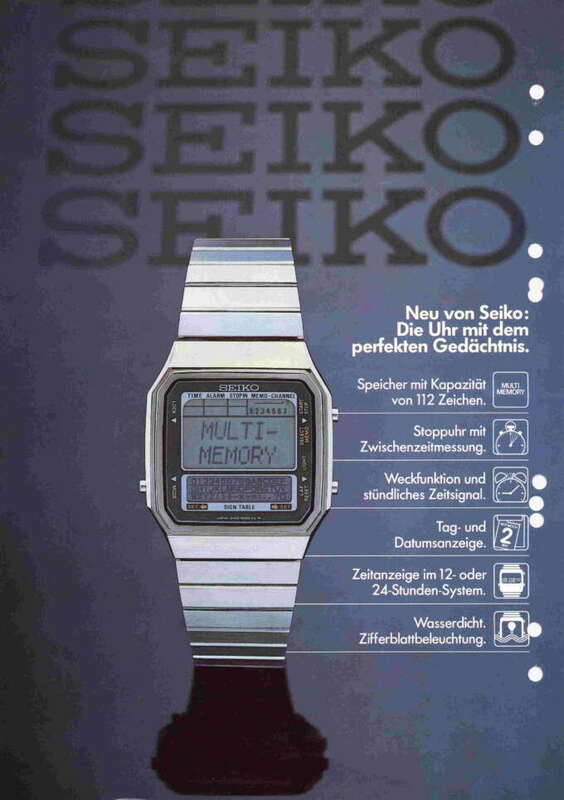 In 1969 SEIKO began the sale of the Quartz-Astron—the first commercially available quartz wristwatch. The revolution had begun. Pulsar's Time Computer (wristwatch was obviously deemed too mundane for such a groundbreaking device) was the first digital display watch, launched in 1970. As the mechanism was unpatented, the production of quartz watches took off rapidly. Overnight any company could churn out an affordable watch with an accuracy surpassing that of the finest Swiss-made mechanical device. 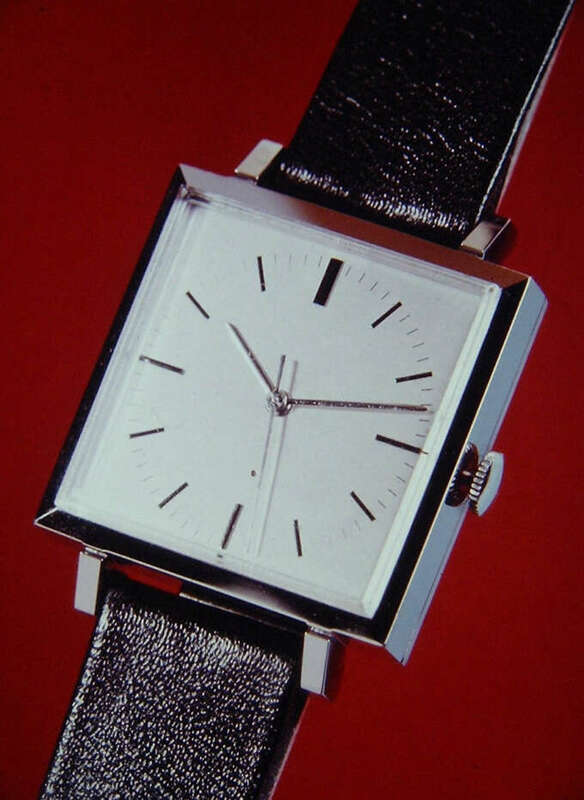 This was the beginning of what was known among the Swiss as the "Quartz Crisis" which would see quartz timepieces outselling mechanicals by 1978. The Apple Watch Edition’s outrageous price tag mirrors the Pulsar Time Computer’s introduction to the market. 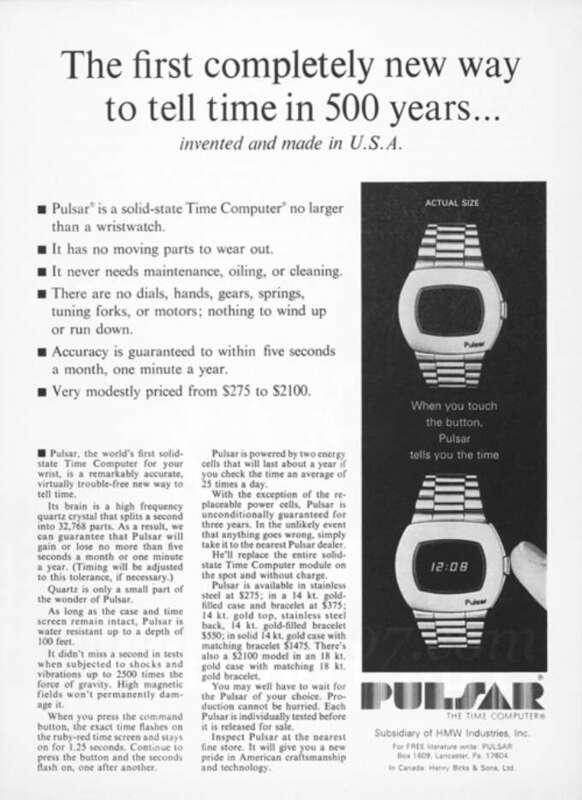 In 1970 the quartz technology aided the development of another challenger to the traditional watchmaking market, the first digital display watch—the Pulsar Time Computer. This was created by a sub-brand of the American watchmaking giant Hamilton Watch Company. The Pulsar was marketed as a premium product produced in 18k gold and promoted with a high-concept forty-minute long video with a cost to match—$1,200 (the equivalent of $12,000 today). The watch was cumbersome. It didn't actually display time until you pressed the button on the front of the face, it required magnets to change the time and the battery would run down rapidly. In many ways this was not unlike the rollout of today’s smart watches, they were a novelty and not quite a practical replacement for a good analog model. Roger Moore as James Bond donning the Pulsar Time Computer. The digital display market didn't stay premium for long. In a neat twist echoing the current smartwatch boom, it was saturated by companies of the nascent home computing sector. 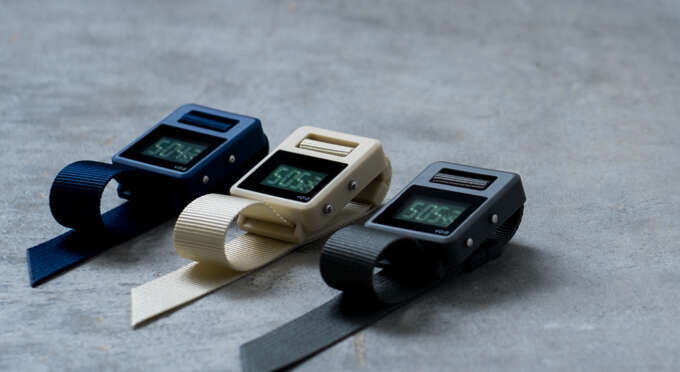 Palo Alto’s Commodore, Texas instruments and UK-based Sterling created LED watches that sold for as little as $10. Most of these products were shoddy and poorly manufactured. The industry was quickly outdone by their Japanese competitors SEIKO and CASIO. By the end of the ’70s, the Hamilton Watch Company who had started the decade so promisingly was bankrupt and sold to SEIKO. 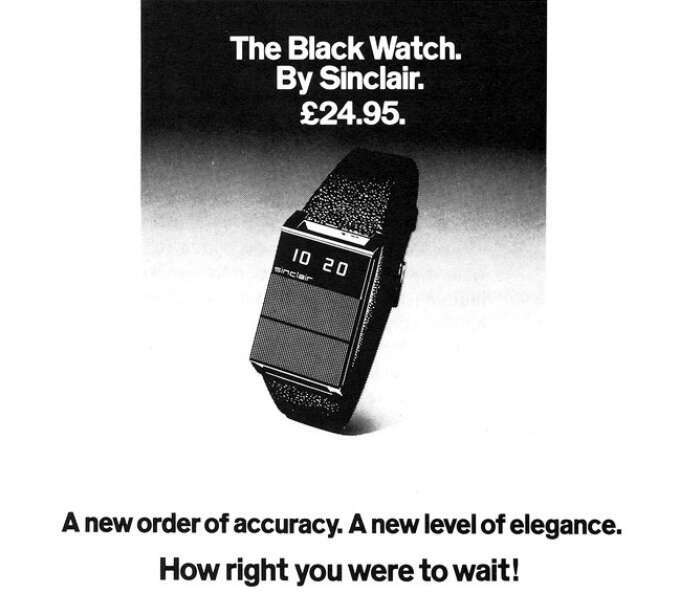 While they were famously terrible, the Sinclair Black Watch at least had some noteworthy aesthetics with an all black body and slim red LED display. The Japanese companies didn't bother with the problematic LED displays opting instead for the more long-lasting LCD, with SEIKO debuting its first LCD model in 1973. These companies would further distinguish themselves through clever additions to the complexity and function of their watches like calendars, alarm clocks and even personal diaries. These were the smartphones of their day—multipurpose, reliable and relatively affordable. SEIKO also scored a marketing coup by having every Bond film from 1977-83 feature a gadget-packed digital watch from their catalogue, including the very cool and brawny Sports 100 model. 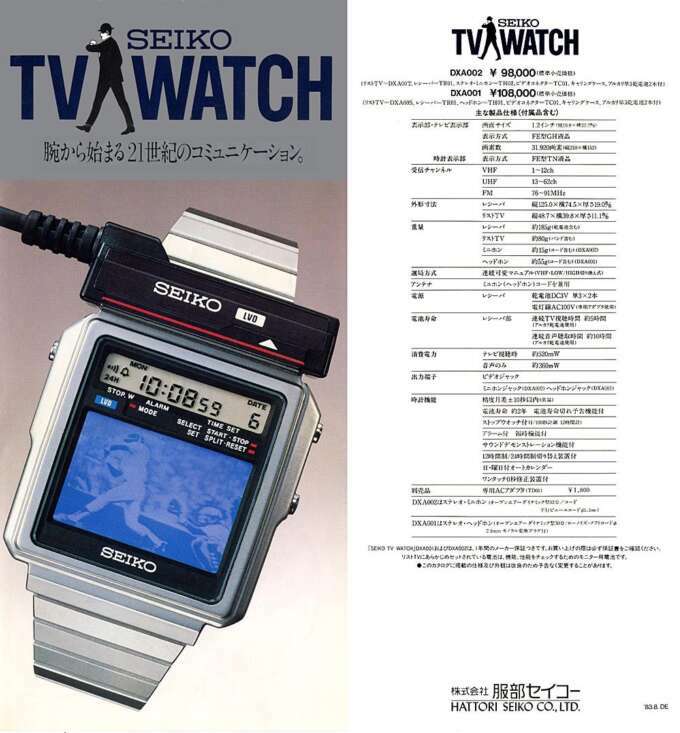 Japanese LCD watches of the 1970s & 80s made a virtue of their ever greater complexity and versatility, culminating in the ludicrous/awesome SEIKO TV watch. Not all LCD models were feature-packed. 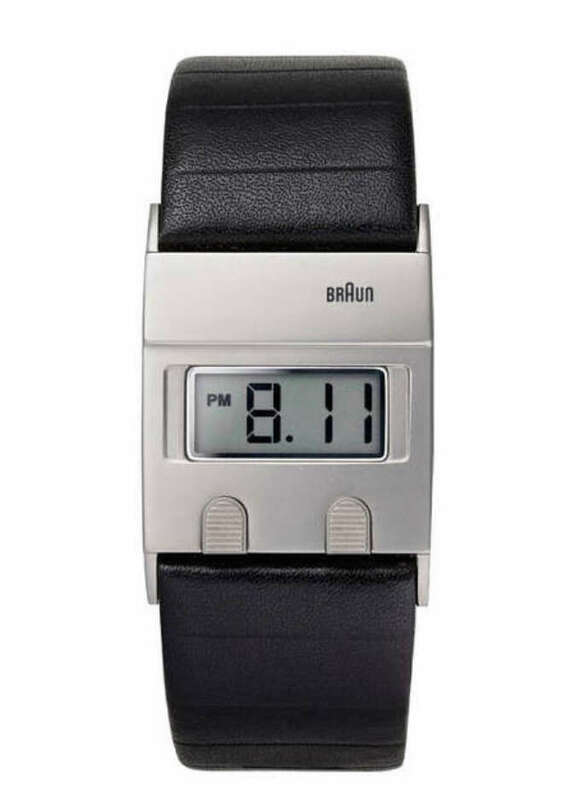 This minimal take designed for Braun by the legendary Dieter Rams in 1978 would later influence several contemporary designs. Infused with youthful new wave styling and affordable enough to be brought on a whim, the Swatch saved the Swiss watch industry. During the 1970s "quartz crisis" the Swiss watch industry had been nearly destroyed. They would lose over two-thirds of their pre-quartz workforce between 1970-1988 and the future looked grim. As American and Japanese companies increasingly encroached on market share there was a wave of closures and consolidations. This would lead to the creation of the Swatch company by the newly consolidated Swiss makers. 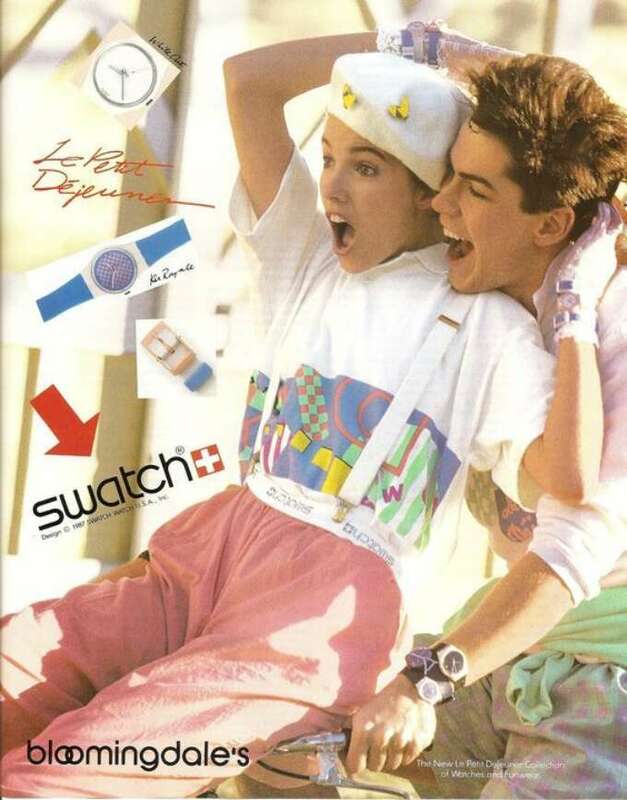 Swatch was a direct attempt to seize back the entry level market for watches from the popular digital models. They were of a defiantly cheap, simplistic and pointedly analogue design produced in a dizzying array of punk and new wave influenced colours. It's telling that the same year the Swatch was launched was also the last that James Bond would don a digital display timepiece, and after 1987 it was to be elite mechanicals only, no quartz at all. Where would these new Bond pieces originate? Switzerland of course. While digital watches didn't exactly disappear, it could be argued that 1983 was the high point of their wider influence. The Swatch was a big success and created a path for the Swiss to return to their previously unassailable position at the top of the watchmaking world. From then on they would focus aggressively on both the low-end novelty market with the Swatch brand and the prestigious high-end by marketing ever more advanced and elaborate mechanicals as a craft objects with eye-watering prices. Be sure to check out the Die, Workwear! write up on the cult status of vintage Swatch designs. By the late '90s, digital-only displays had essentially disappeared. They were relegated to secondary features on an analog face in sport or specialist rather than everyday devices. Things started to change in the early '00s as a surge of nostalgia for all things 80s (Joy Division, John Hughes movies etc) led to CASIO re-issuing their classic models which were marketed widely and sold at retailers like Urban Outfitters. Looking back it's easy to see this was a trend driven blip and didn't necessarily affect the general watch market, though later in the decade you saw mid-range makers like VOID and Braun drawing on the early days of the digital display era for inspiration with some impressive results. 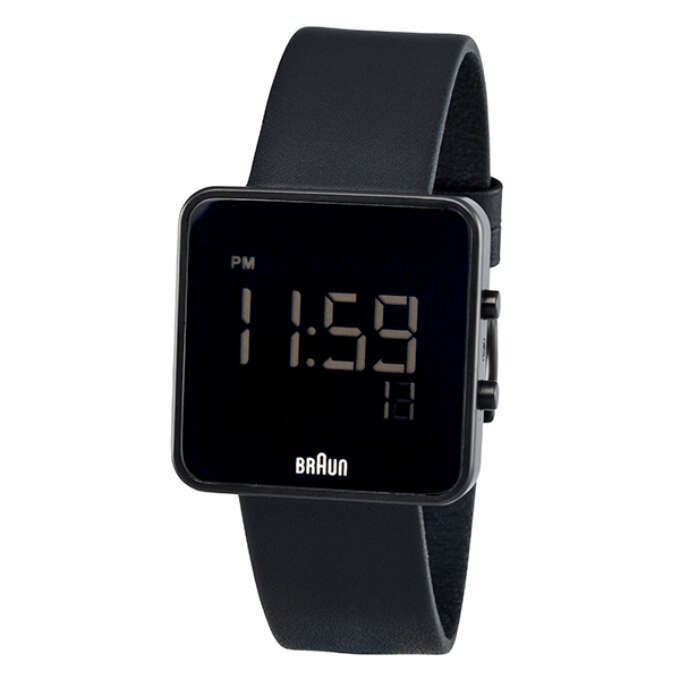 Recent designs by Braun & VOID seem to have taken inspiration from the early years of digital watch design while retaining a modern sensibility. I feel like I would be doing this subject a disservice if I didn't add a postscript highlighting a recent prominent use of a classic digital. Hideo Kojima the eccentric designer behind the acclaimed Metal Gear series of video games is known for his blatant product placement. 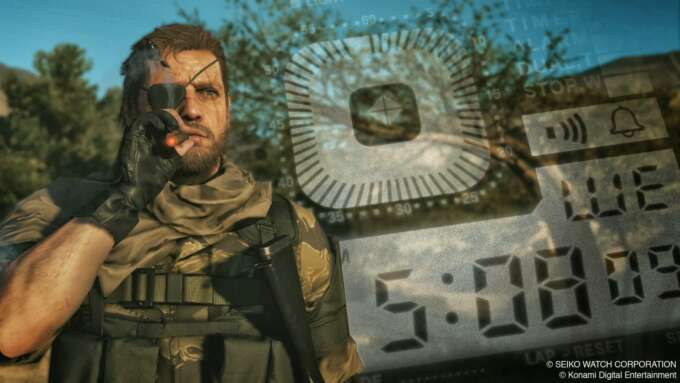 In his most recent—and sadly final—game in the series The Phantom Pain (UK), the chunky SEIKO sport 100 features prominently. 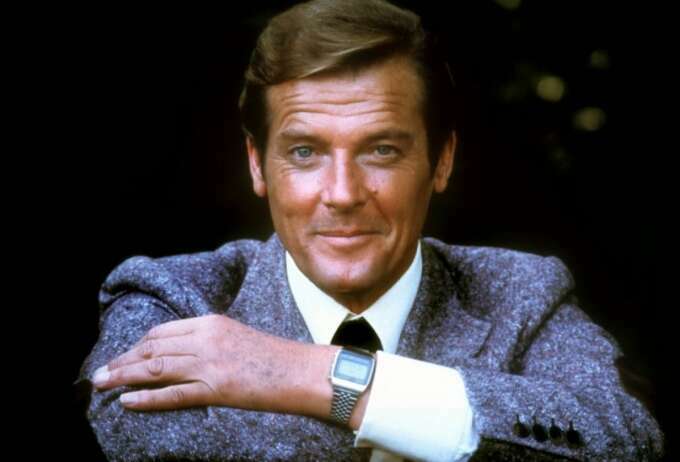 The same watch donned by James Bond in 1983 (not a coincidence I'm guessing, the series is full of references to classic action fare). Kojima and SEIKO collaborated on a Japan only reissue of the watch. The SEIKO sport 100 was featured prominently in MGSV and even reissued in a limited edition by the company. Seiko’s official website in Europe features zero digital display designs, instead it aspires to Swiss qualities. A shame as there is an opportunity to create a series along the lines of the highly successful Timex Archive.